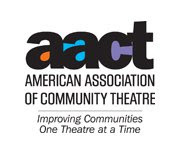 ARTISTIC ADVISORY BOARD MEETING: The AAB will meet this Saturday at 1 p.m. at the Playhouse. Who can attend? If you have ever acted, directed, built sets, volunteered in any capacity on a show, you are welcome to attend, voice an opinion and vote. The agenda is at the end of the email. This is an important meeting as it will provide major input into next season's plays. BOD: The Playhouse Board of Directors will meet at 6 p.m. at Playhouse on Monday, Oct. 26. Again, all are welcome to attend. CHRISTMAS AT HOME: The bonus play of the year, Christmas at Home, directed by Sandy Goad has been cast. Actually, it was double cast. I'll send the names of everyone cast in a later email once I get the names of all those involved from Sandy. Show dates are Dec. 10-13. This is a feel-good one-act with some caroling thrown in. Rehearsals for "Christmas at Home" are underway, and as stated the show dates are December 10-13th, 2009. Full cast list will come in a subsequent post, but with the double casting there will be two shows with Cast 1 and two shows with Cast 2. Audition turnout was tremendous! Thank you to all who auditioned, and remember that next season is right around the corner. ...than a dessert of bleeding armadillo cake? "Steel Magnolias" was a great show, so popular that a sixth performance was added. The "Magnolias" were terrific! Great job, ladies, and congratulations on a terrific and hugely successful show! Don't forget...we have one more show, "Christmas At Home", which will be directed by Sandy Goad. Auditions are Sunday, October 18 and Monday, October 19 at 6:30 p.m. at the Playhouse. Show dates are December 10, 11, 12, and 13th. Let's have one last hand for the ladies of "Steel Magnolias"...a great end to a great season! STEEL MAGNOLIAS: Five shows. Five sold out houses. What to do? Add a sixth, matinee show on Sunday, Oct. 11! After polling the cast and crew — and I checking with board members, director Suzanne Wilson-Wuest checking cast and crew — it was decided to add the sixth show. As always, reservations are highly suggested because I believe it stands a good chance to fill up quick. Call 393-0676 for reservations. A special thanks to the cast, crew and volunteers for helping make this show happen as well being flexible to add a sixth show. Too many people wanting to watch a show is great problem to have! CHRISTMAS SHOW: Sandy Goad has volunteered to direct a Christmas show. Tentatively, the auditions are set for Oct. 18 and 19 at 6:30 p.m. at the Playhouse. The show is called Christmas at Home, is a one-act play and includes several adult roles and several teenager roles. She also may add some caroling, etc., to the whole event. She'll need volunteers, etc. Show dates are Dec. 10-13. ROCK BAND: An Xbox 360 Rock Band competition is tentatively scheduled to take place Oct 31 at 2 p.m. at the Playhouse. This is being organized by several hospital folks. The goal of the competition is to raise money to buy kids in hospitals video games systems etc. while being treated for their illness. It goes a good cause. The board approved making the Playhouse available for this event. For those who don't know, Rock Band is a video game where up to four players play in a band. It is kind of like karaoke, except for a "band." Yes, one more show for "Steel Magnolias"...and it's filling up fast! And mark your calendars for auditions for "Christmas at Home", 10/18 and 10/19 at 6:30 PM at the Playhouse. Folks, it's been a GREAT show, a record-setter for attendance! As of now, all reservations for October 9th and 10th are SOLD OUT! Thank you all for your support! NOT SO FAST! Due to overwhelming popularity, a sixth showing of "Steel Magnolias" has been scheduled for 2:00 PM on Sunday, October 11th, 2009. Call 575-393-0676 or use the email link on the left to make reservations, but do so QUICKLY, as seats are going fast!